Marilyn Manson and Rob Zombie are once again heading off on a co-headlining tour. And yes, they are coming to Canada. 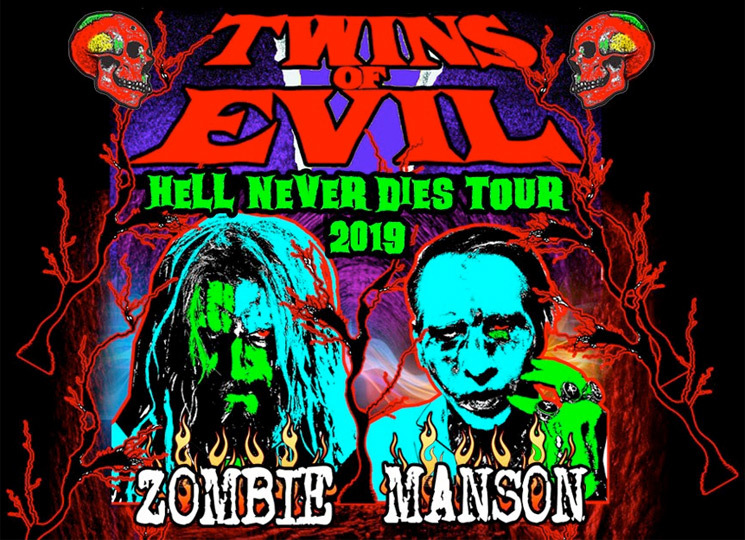 Following last year's "Twins of Evil" tour, the two artists will be teaming up once again for the "Hell Never Dies Tour 2019." The trek will kick off in Baltimore on July 9, but it will soon make its way to Canada. This summer, the pair will play Canadian cities such as Vancouver, Saskatoon, Winnipeg, London, Ottawa and Quebec City. You can see the full schedule below. Tickets go on sale Friday (February 22) at 10 a.m. local time.